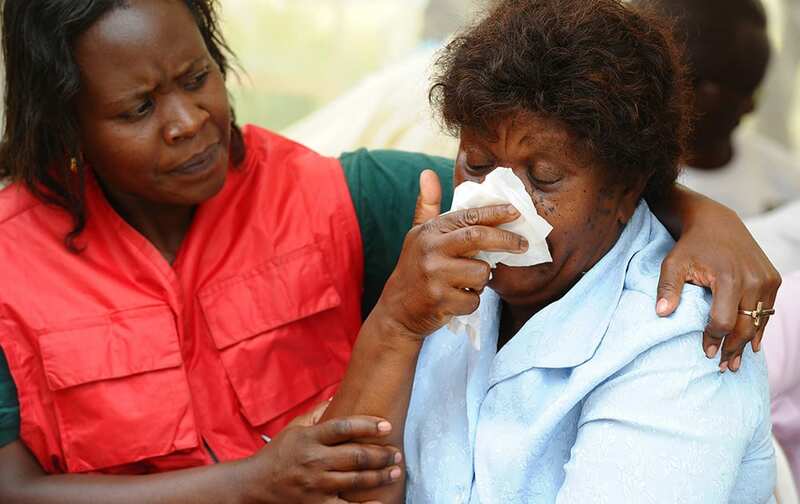 Kenya Red Cross staff assist a woman after she viewed the body of a relative killed in Thursday's attack on a university, at Chiromo funeral home, Nairobi, Kenya. 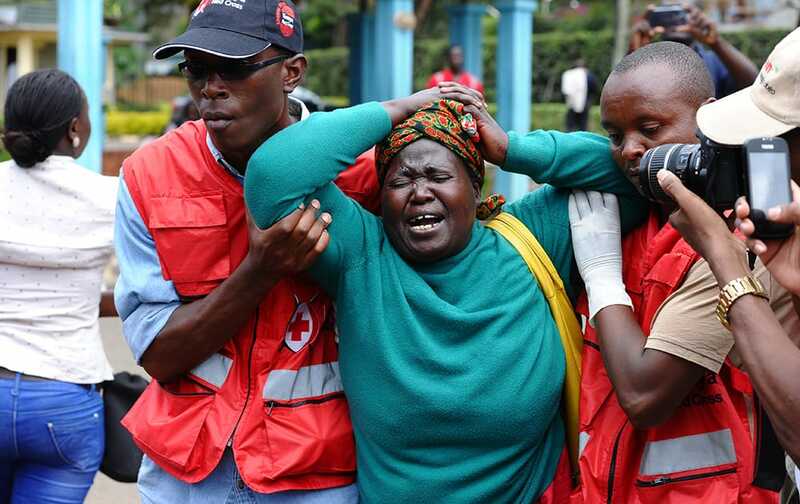 Kenya Red Cross staff help a woman after she viewed the body of a relative killed in Thursday's attack on a university, at Chiromo funeral home, Nairobi, Kenya. 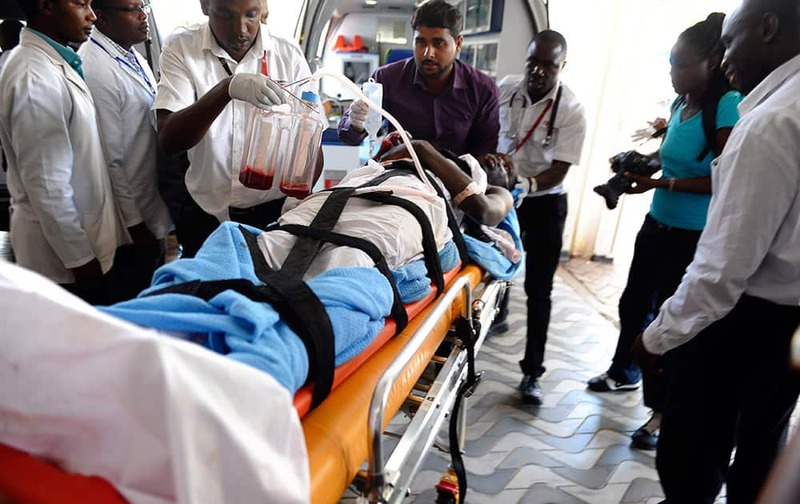 Medics help an injured person at Kenyatta national Hospital in Nairobi, Kenya, after being airlifted from Garissa after an attack by gunmen at Garissa University College in northeastern Kenya on Thursday morning. 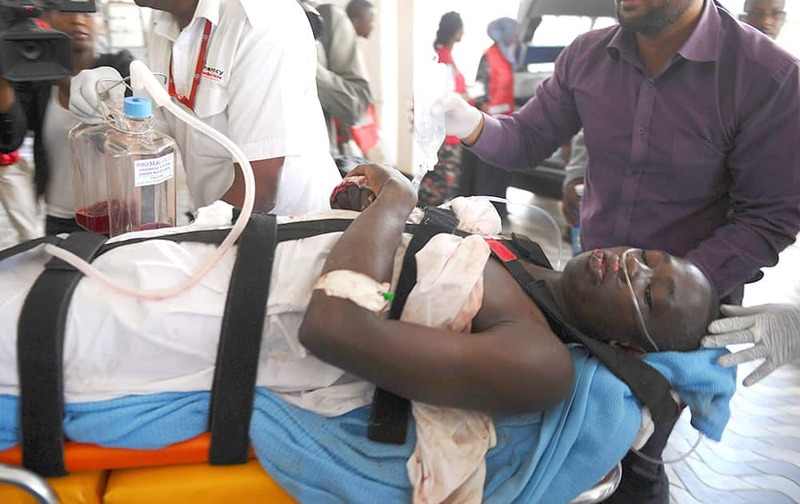 Al-Shabab gunmen attacked Garissa University College in northeast Kenya early Thursday, targeting Christians and killing at least 15 people and wounding 60 others, witnesses said. Students of the Garissa University College get out of a house where they seek refuge after fleeing from an attack by gunmen in Garissa, Kenya. Gunmen attacked the university early Thursday, shooting indiscriminately in campus hostels. Police and military surrounded the buildings and were trying to secure the area in eastern Kenya, police officer Musa Yego said. 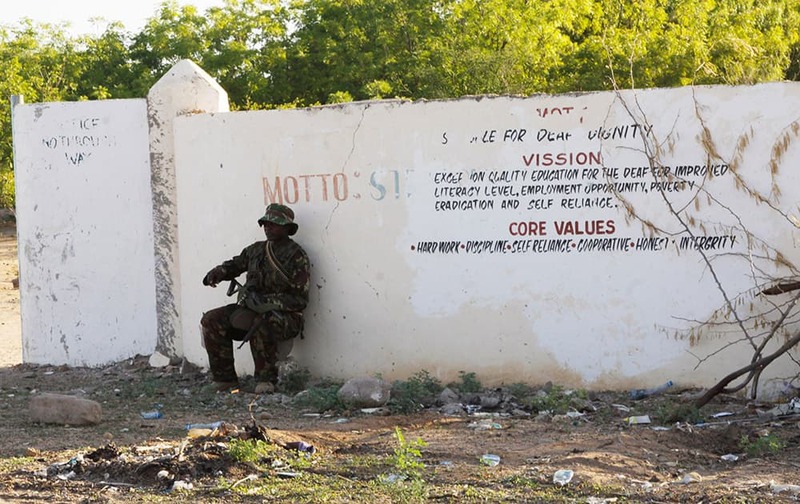 A Kenya Defence Forces soldier secures the area around the Garissa University college, in Garissa, Kenya. 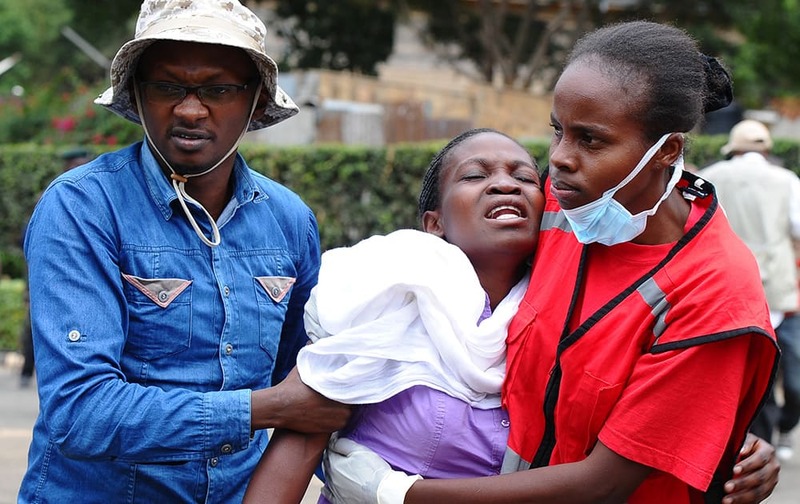 Al-Shabab gunmen attacked Garissa University College in northeast Kenya early Thursday, targeting Christians and killing over 100 people and wounding others, according to Kenya's national disaster operations center and the interior minister. 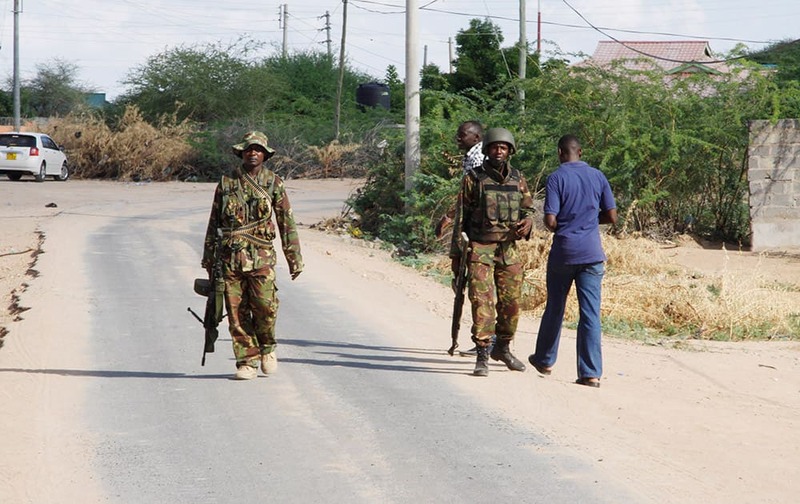 Members of Kenya's Defence Forces secure the area of the Garissa University college, in Garissa, Kenya. 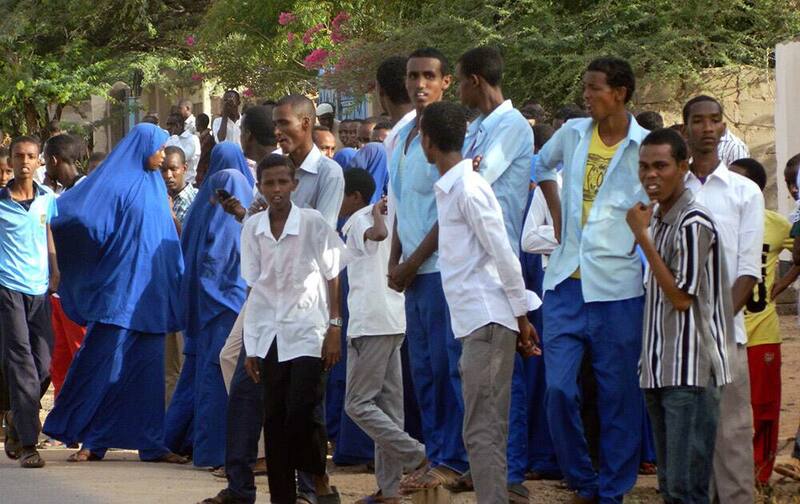 Witnesses say the gunmen who stormed a college in Kenya this morning identified themselves as members of al-Shabab, the Islamic extremist group from neighboring Somalia. 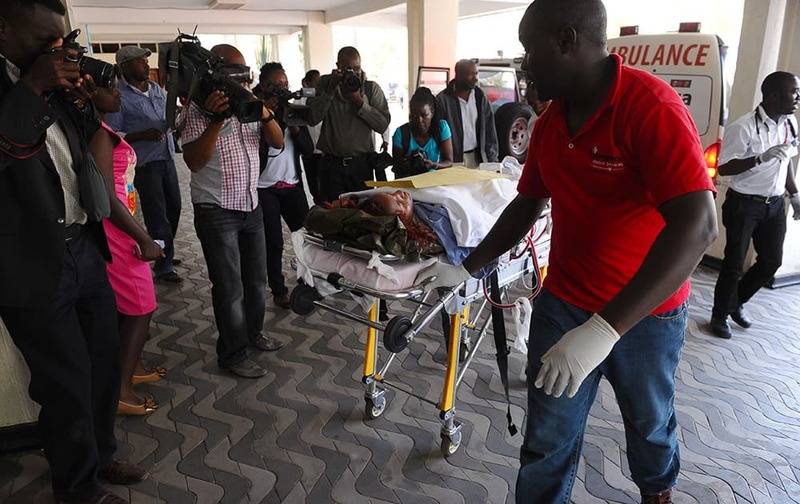 Medics help an injured person at Kenyatta National Hospital in Nairobi, Kenya. 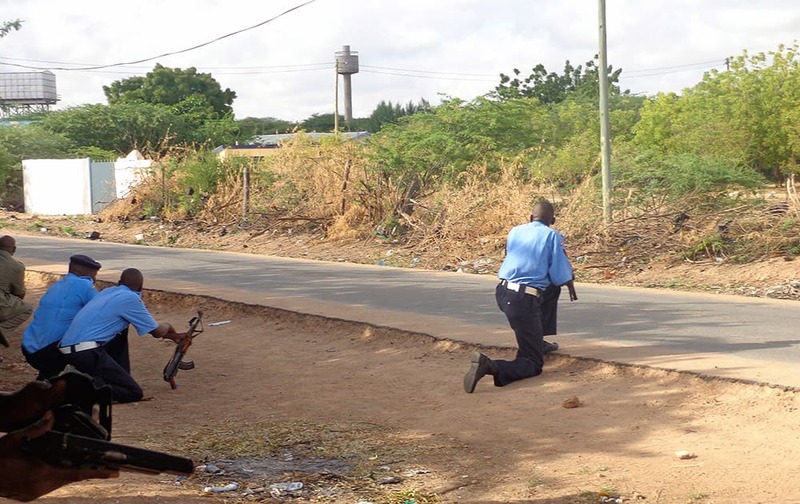 Kenyan police officers take cover outside the Garissa university college. 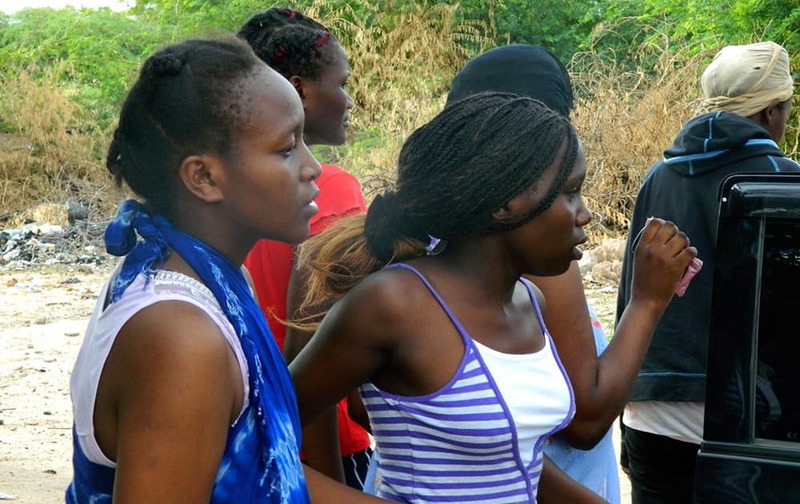 Students gather and watch from a distance outside the Garissa University College after an attack by gunmen, in Garissa, Kenya.